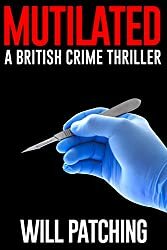 I originally won a signed copy Mutilated, the second book in this trilogy, in an auction on Crime Book UK but also purchased all three books from Amazon for my kindle. This has been one awesome series, in fact I am so impressed that now I am starting the next series of books by Will Patching. 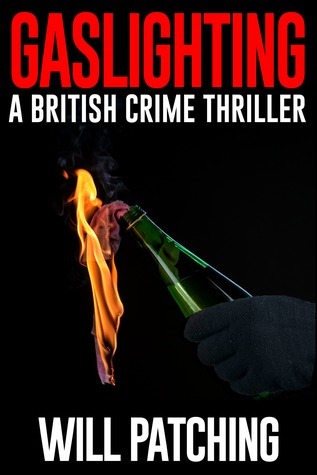 Find out the thrilling outcome in Gaslighting – the third ‘stand alone’ novel in this dark, gritty, British Crime Thriller trilogy. Please note: This psychological suspense story contains spoilers so you are advised to read the award winning first book (Remorseless) to maximize enjoyment, although this is not essential. 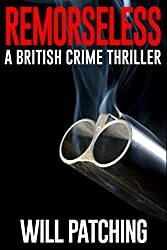 You really need to have read Remorseless to get the fully impact of this, the final book in the trilogy but really do yourself a favour and read all three! There are a couple of explanations in the front of this book with the meaning of Gaslighting explained, hence the title but I will leave you to find out yourself. A few years have gone by since the events of the first book happened, which left the damaged mind of a young boy festering away, with an additional rather lethal mix of nature and nurture brewing around in his head too. He is far wiser than his years, very intelligent and a cunning manipulating psycho with a devastating plan. A coming of age debut to mark his 16th birthday! So there isn’t any guessing about who the bad lad is in this story as he quite proudly sets about his plan to wreak revenge on the people that he hates. The ones that caused the downfall of his hero and well there is no better place to start than at home. Billy could get an Oscar for his acting and attentive care of his gran but whoa is he sick. Ok he was really messed up as a kid (The Remorseless book 1) but bloody hell! My mind was in overdrive thinking about the savagery he could come up with in the next 10 minutes never mind in the future as a man!!!!! Doc and Carver are back together, love this pairing but not everyone is happy. It is a case of be careful what you wish for sort of stuff. There is heart-break, there is death and there is Doc struggling more than ever with very deep and disturbing thoughts. Oh boy I really love this man more with every book. I know, I know, I should know better but I am truly fascinated by Doc. This story gets up close and personal between this psycho kid and Doc. I have never felt so helpless as a reader. This is a fabulous conclusion to this trilogy, which at one point I had to just stop reading and calm my emotional overdrive down. I hope that somewhere down the line Will Patching brings these two, Doc and Carver back out for another book, even just a one-off. This has been an outstanding series. My favourite this year! 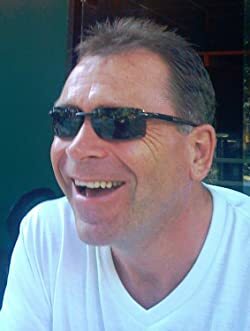 Now considered something of an expert on psychopaths, thanks to his extensive research and personal experience of people with this personality disorder, Will set up a popular website to help lay readers understand these destructive individuals and why their existence is so important to society in general.